Home > Casino online > What is the "Macau casino boss" trying to do in Vietnam? What is the "Macau casino boss" trying to do in Vietnam? Macau Suncity Group Holdings, the world's largest casino and resort company, is keen to become a big player in the world's casino business and Vietnam has become a strong target for the company. Chow Tai Fook Group is a tycoon in jewelery and jewelry business and owns a giant real estate asset in the Asia-Pacific region. After acquiring Suncity Group Holdings, which holds a 70% stake in the company, Chow Tai Fook has developed Suncity into a leading Macau casino corporation, hugely aspiring to dominate the world's casino business. The group, owned by 88-year-old Cheng Yu-Tung, is Hong Kong's fourth richest man, with assets of $16.2 billion, ranked 54th on the list of the richest according to Forbes magazine's ranking. Suncity currently owns about 17 VIP clubs and 280 gaming tables serving the largest betting and casino markets, VIP clubs in Korea, China and the Philippines. "As a" junket "operator, this means that intermediaries who lend money" hot ", arranges seats for players and gets paid. We do not have enough room to grow even in Macau. In the future, if we own integrated resorts with golf courses, swimming pools and restaurants, our customers will stick with us more. " 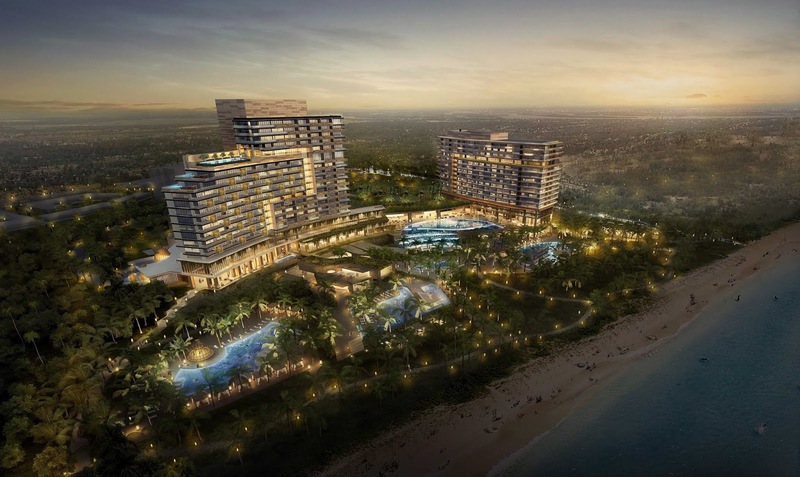 In March 2015, the Suncity Group announced its intention to invest in a casino project in Duong Co, Phu Quoc. However, when working with local authorities, land funds in this area have been licensed to invest in other investors, so this group has changed other locations. The most prominent feature of Sucity's real estate deals in Vietnam is the acquisition of the South Hoi An project in 2014. The Nam Hoi project is one of the major urban and tourist complex projects in the area. Chu Lai open economic zone, located on Duy Nghia and Duy Hai communes of Duy Xuyen district, Quang Nam province. By the end of 2010, this project was licensed to VinaCapital Ventures and Genting Berhad Malaysia, of which VinaCapital holds 80% of the shares, while Genting is only 20%. However, in 2012, due to economic difficulties, Gentinh Berhad announced his withdrawal from the project. By 2014, the South Hoi An casino project is announcing new owners namely Chow Tai Fook - Sun City and VinaCapital. Investment scale is 985ha with total investment capital of USD 4 billion, of which 163ha will be implemented in the first phase with a total investment capital of USD 650 million. In the wake of the legal action to complete the caison business in Vietnam, as well as the pilot for Vietnamese to play casino in the country, Chow Tai Fook - Sun City began expressing ambitious desire to take over the whole. Vietnam's casino business market. 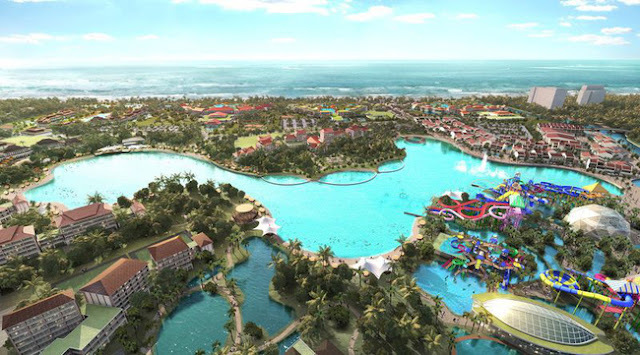 Recently, Chow Tai Fook - Sun City is completing procedures to acquire a 34% stake in the $ 4 billion South Hoi An casino project, with an initial investment of $ 650 million. Deal Street Asia reported that the project management company had pledged $ 89 million at the initial stage and had a loan of $ 484 million. The $ 77 million project is required to continue and Suncity will contribute $ 26.2 million based on a 34% stake. Suncity has also signed a consulting contract for a $ 2 billion casino resort complex in Van Don, Quang Ninh province, which is part of Sun's Sun Van Joint Stock Company. Group as an investor. Suncity is also negotiating to become the casino's manager in the future executive-economic district. Currently, the economic zone is being supported by the Prime Minister and creating favorable conditions for development. To maximize tourism resources, Suncity also builds resort hotels, villas, guesthouses and golf courses to serve tourists. In Phase I, the project will build a 313-room hotel for ordinary guests, a full-service hotel with a total of 141 rooms, a 70-villa resort and 30 villas. and a combination of 236 hotel apartments for sale and rent. The complex of hotels and villas will be operated and managed by Rosewood Hotels & Resorts and New World Hotels. These two investors are quite new in the real estate market in Vietnam, however, with the results achieved in foreign projects, these two investors promised to bring resort delicate, quality resort. Accordingly, Suncity will not only serve the tourists from the other two operators but also serve the maximum number of visitors to the casino. So the initial ambition of this corporation is to turn South Hoi An will become a venue for entertainment, casinos of the upper class at home and abroad, and also attract a large number of tourists thanks to the location of the sea. beautiful, luxury facilities here. Title : What is the "Macau casino boss" trying to do in Vietnam?